If you want to make a girl (or maybe a boy) cry, give them this book. So I blame my boyfriend for making me cry even before lunchtime because he gave me this book. I liked this book quite a lot. The characters were awesome. Smart, ironic and sarcastic teenagers having to deal with cancer and death, but mostly life. It was interesting, since the main characters were smarter than average. There wasn’t much going on in the book (except having cancer), although Hazel and Augustus (two main characters) did spend some time in Amsterdam, mostly it took place in the US. Otherwise, if you look beyond the sad parts and the inevitable ending, it was great. 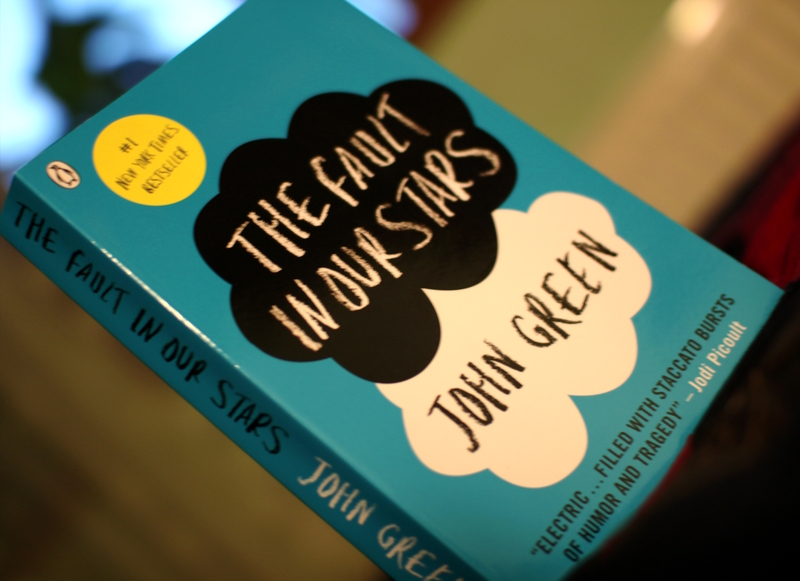 This entry was posted in Fiction and tagged John Green, The Fault in Our Stars. Bookmark the permalink. I thought I was the only one who found Hazel and Augustus more intelligent than the average teenager. Haha. This book is one of the saddest books I’ve read, ever.